The Berne Convention formally mandated several aspects of modern copyright law; it introduced the concept that a copyright exists the moment a work is "fixed", rather than requiring registration. It also enforces a requirement that countries recognize copyrights held by the citizens of all other signatory countries. The Berne Convention requires its signatories to treat the copyright of works of authors from other signatory countries (known as members of the Berne Union) at least as well as those of its own nationals. For example, French copyright law applies to anything published or performed in France, regardless of where it was originally created. In addition to establishing a system of equal treatment that internationalised copyright amongst signatories, the agreement also required member states to provide strong minimum standards for copyright law. Copyright under the Berne Convention must be automatic; it is prohibited to require formal registration. However, when the United States joined the Convention 1 March 1989, it continued to make statutory damages and attorney's fees only available for registered works. Under Article 3, the protection of the Convention applies to nationals and residents of signatory countries, and to works first published or simultaneously published (under Article 3(4), "simultaneously" is defined as "within 30 days") in a signatory country. Under Article 4, it also applies to cinematic works by persons who have their headquarters or habitual residence in a signatory country, and to architectural works situated in a signatory country. The Convention relies on the concept of "country of origin". Often determining the country of origin is straightforward: when a work is published in a signatory country and nowhere else, this is the country of origin. However, under Article 5(4), when a work is published simultaneously in several signatory countries (under Article 3(4), "simultaneously" is defined as "within 30 days" ), the country with the shortest term of protection is defined as the country of origin. The Berne Convention authorizes countries to allow "fair" uses of copyrighted works in other publications or broadcasts. Implementations of this part of the treaty fall into the broad categories of fair use and fair dealing. The Agreed Statement of the parties to the WIPO Copyright Treaty of 1996 states that: "It is understood that the mere provision of physical facilities for enabling or making a communication does not in itself amount to communication within the meaning of this Treaty or the Berne Convention." This language may mean that Internet service providers are not liable for the infringing communications of their users. 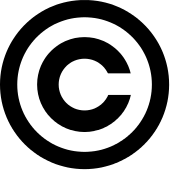 Critics claim that the convention does not mention any other rights of consumers of works except for fair use. The Berne Convention was developed at the instigation of Victor Hugo of the Association Littéraire et Artistique Internationale. Thus it was influenced by the French "right of the author" (droit d'auteur), which contrasts with the Anglo-Saxon concept of "copyright" which only dealt with economic concerns. Under the Convention, copyrights for creative works are automatically in force upon their creation without being asserted or declared. An author need not "register" or "apply for" a copyright in countries adhering to the Convention. As soon as a work is "fixed", that is, written or recorded on some physical medium, its author is automatically entitled to all copyrights in the work and to any derivative works, unless and until the author explicitly disclaims them or until the copyright expires. Foreign authors are given the same rights and privileges to copyrighted material as domestic authors in any country that signed the Convention. Before the Berne Convention, national copyright laws usually only applied for works created within each country. So for example a work published in United Kingdom by a British national would be covered by copyright there, but could be copied and sold by anyone in France. Dutch publisher Albertus Willem Sijthoff, who rose to prominence in the trade of translated books, wrote to Queen Wilhelmina of the Netherlands in 1899 in opposition to the convention over concerns that its international restrictions would stifle the Dutch print industry. The Berne Convention was revised in Paris in 1896 and in Berlin in 1908, completed in Berne in 1914, revised in Rome in 1928, in Brussels in 1948, in Stockholm in 1967 and in Paris in 1971, and was amended in 1979. The first version of the Berne Convention treaty was signed on 9 September 1886, by Belgium, France, Germany, Haiti, Italy, Liberia, Spain, Switzerland, Tunisia, and the United Kingdom. Although the United Kingdom signed the convention in 1886, it did not implement large parts of it until 100 years later with the passage of the Copyright, Designs and Patents Act 1988. The United States entered into force for the Berne Convention on March 1, 1989. 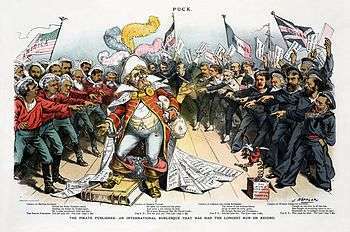 The United States initially refused to become a party to the Convention, since that would have required major changes in its copyright law, particularly with regard to moral rights, removal of the general requirement for registration of copyright works and elimination of mandatory copyright notice. This led first to the U.S. ratifying the Buenos Aires Convention (BAC) in 1910, and later the Universal Copyright Convention (UCC) in 1952 to accommodate the wishes of other countries. 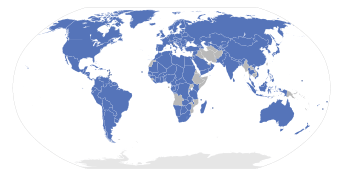 With the WIPO's Berna revision on Paris 1971, many other countries joined the treaty, as expressed by Brazil federal law of 1975. On 1 March 1989, the U.S. Berne Convention Implementation Act of 1988 was enacted, and the U.S. Senate advised and consented to ratification of the treaty, making the United States a party to the Berne Convention, and making the Universal Copyright Convention nearly obsolete. Except for extremely technical points not relevant, with the accession of Nicaragua in 2000, every nation that is a member of the Buenos Aires Convention is also a member of Berne, and so the BAC has also become nearly obsolete and is essentially deprecated as well. As of September 2016, there are 172 states that are parties to the Berne Convention. This includes 170 UN member states plus the Holy See and Niue. ↑ Circular 38A: International Copyright Relations of the United States (PDF). U.S. Copyright Office. 2014. p. 2. Retrieved 5 March 2015. 1 2 3 Berne Convention Article 3. ↑ Berne Convention Article 4. 1 2 Berne Convention Article 5. ↑ Fitzgerald, Brian F., Shi, Sampsung Xiaoxiang, Foong, Cheryl, & Pappalardo, Kylie M. (2011), "Country of Origin and Internet Publication : Applying the Berne Convention in the Digital Age". Journal of Intellectual Property (NJIP) Maiden Edition, pp. 38–73. 1 2 3 Berne Convention Article 7. ↑ Travis, Hannibal (2008). "Opting Out of the Internet in the United States and the European Union: Copyright, Safe Harbors, and International Law". Notre Dame Law Review, vol. 84, p. 384. President and Trustees of Notre Dame University in South Bend, Indiana. Retrieved 9 June 2010. ↑ Berne Convention Article 10, article 10bis. 1 2 Travis, p. 373. ↑ "The Netherlands and the Berne Convention". The Publishers' circular and booksellers' record of British and foreign literature, Vol. 71. Sampson Low, Marston & Co. 1899. p. 597. Retrieved 2010-08-29. ↑ Solberg, Thorvald (1908). Report of the Delegate of the United States to the International Conference for the Revision of the Berne Copyright Convention, Held at Berlin, Germany, 14 October to 14 November 1908. Washington, D.C.: Library of Congress. p. 9. ↑ Molotsky, Irvin (21 October 1988). "Senate Approves Joining Copyright Convention". The New York Times. Retrieved 22 September 2011. The full text of the Berne Convention for the Protection of Literary and Artistic Works (as amended on September 28, 1979) (English) in the WIPO Lex database — official website of WIPO. WIPO-Administered Treaties (English) in the WIPO Lex database — official website of WIPO.